PTE stands for Pearson Test of English. Contact us now for regular training and practical sessions to improve your writing, listening, speaking and reading skills. The regular practices will ensure you the surety of good results in the examination. We offer attention to all candidates personally which made them more confident and free of mind to learn the things easily. 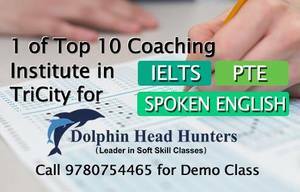 Students can easily grow their interest towards the language and can score desired marks easily.